Eastern Europe is inexpensive. Compared to almost any western European country, Eastern Europe is significantly cheaper when it comes to food, lodging, public transportation and entertainment. If you want to save money on a future cycling holiday, consider making a trip to Eastern Europe! There are fewer tourists in Eastern Europe, which means you can travel in almost any Eastern European country and receive a more authentic experience than what you might get in many western countries. Popular western European countries can sometimes feel a bit like Disneyland (i.e think about the Eiffel Tower in Paris, France or Brandenburg Gate in Berlin, Germany). You won’t be contending with those kinds of crowds in Eastern Europe! Where is Eastern Europe Exactly? Believe it or not, but there is actually some debate over which European countries are in the east and which countries are in the west. That’s because there are several different methods for differentiating between an eastern and western country. For example, some people want to divide Europe based on religious lines, while others think the east and west should be divided based on their status during the cold war. Because there’s some debate over which countries are in the east and which countries in the west, you should know that for the purpose of this article, when I refer to an Eastern European country, I’m talking about Estonia, Latvia, Lithuania, Russia, Belarus, Poland, Ukraine, Slovakia, the Czech Republic, Hungary, Romania, Moldova, Slovenia, Bosnia and Herzegovina, Montenegro, Serbia, Kosovo, Albania, Macedonia, Bulgaria, Greece, Cyprus and Turkey. Western Europe, however, would be defined as: Iceland, Finland, Sweden, Norway, Denmark, Ireland, the United Kingdom, the Netherlands, Belgium, Luxembourg, Germany, France, Switzerland, Liechtenstein, Spain, Portugal and Italy. Yes, there are a few smaller countries mixed in there, but I’ve left them out for the purpose of simplicity. These are the countries most people are familiar with when they refer to either western Europe or Eastern Europe. One of the easiest ways to travel in Europe on a tight budget is to simply replace a trip through Western Europe with a trip through Eastern Europe instead. Instead of going to the Netherlands (which is flat and full of bike paths), go to Estonia. Instead of going to Switzerland, which is both scenic and mountainous, go to Romania. Instead of traveling to Italy or France, which are known for their delicious meals, go to Poland. And instead of laying on the beaches in Portugal or Spain, go to Croatia or Montenegro. Simply replacing a similar Western European country with an Eastern European equivalent can save you hundreds or thousands of dollars in just a short amount of time. There are a number of beautiful, interesting, and historic locations to visit in Eastern Europe, so which countries in the east are most worthy of your time? Romania – If you want to see what Switzerland used to look like before it became so well-manicured and strict, then consider traveling to Romania for some epic cycling adventures. The landscapes are spectacular (especially in the mountains and the Transylvania region), the people are friendly, the prices for just about everything are ridiculously cheap, and Romania has the second fastest Internet in the world (if that’s something that’s important to you). Ukraine – If you want to experience Soviet era living without actually making the trip to nearby Russia, Ukraine is an incredibly cycling and/or travel destination. The roads in Ukraine are pretty poor (think lots of potholes), so don’t expect to set any speed records while you’re there, but be sure to take in the architecture and the colors. There is something so unique about the colors in Ukraine. It’s unlike anything you’ll experience anywhere else in Europe. Plus, traveling in Ukraine is super inexpensive. It’s one of the cheapest travel destinations in all of Eastern Europe! Estonia – If you want an easy, but enjoyable cycling holiday in a country that is almost entirely flat, the consider making a trip to Estonia, which borders Finland, Russia and the tiny nation of Latvia. Explore the thick Estonian forests or take a ferry boat out to one of the thousands of Estonian islands and explore the scenic nature that you find there. 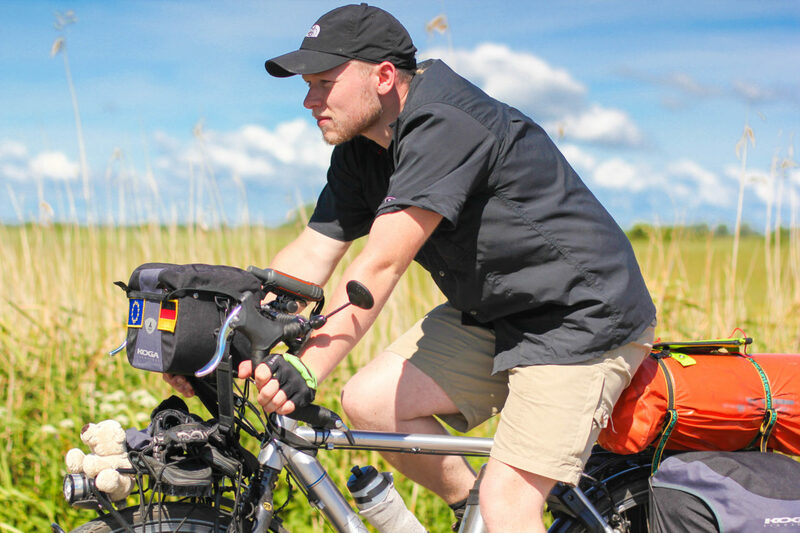 Estonia is a hidden gem in Eastern Europe that very few people know about or even consider going to, but it’s one of the best cycling destinations in all of Europe if you want a flat and enjoyable bicycle touring holiday. Other countries that I really enjoy are Poland, the Czech Republic, Slovakia, and Croatia. Turkey has some great cycling in the countryside, but biking in the cities there can be downright scary! 230 Cyclist Service Points equipped with bicycle racks, sheds and benches, rubbish bins and information boards. There are an additional 10,000 kilometers of other marked cycle routes along the trail, as well as hundreds of noteworthy tourist attractions along the way. 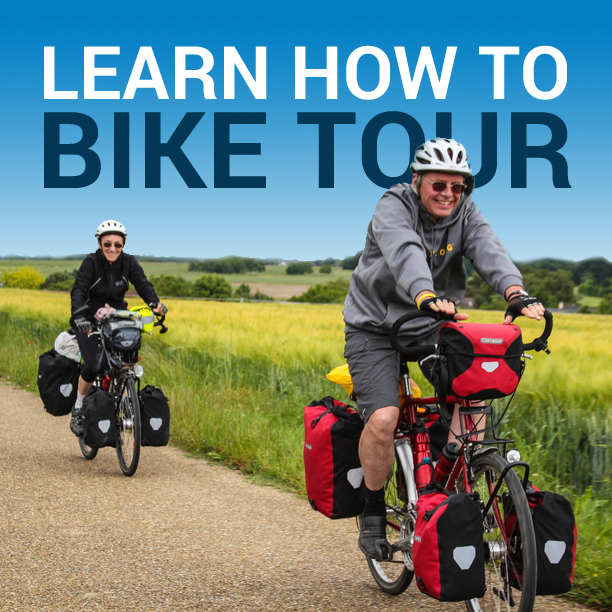 To learn more about bicycle touring in Eastern Europe, which countries make for the best cycling destinations, and which bicycle touring routes I recommend most, listen to the podcast below or watch the video at the top of this page. This entry was posted in Albania, Bicycle Touring Pro Articles, Bosnia and Herzegovina, Bulgaria, Czech Republic, Estonia, Europe, Featured Articles, Hungary, Latvia, Lithuania, Macedonia, Main Articles, Main Featured Articles, Moldova, Montenegro, Podcast, Poland, Romania, Russia, Serbia, Slovakia, Slovenia, Turkey, Ukraine, Uncategorized, Videos and tagged albania, belarus, best of eastern europe, bicycle touring in eastern europe, bosnia, bulgaria, croatia, cycling eastern europe, cycling holidays in europe, Czech Republic, danube river route, eastern europe, eastern europe cycling routes, eastern europe destinations, estonia, europe, eurovelo, eurovelo bike routes, greece, hungary, iron curtain, iron curtain bicycle route, iron curtain bike tour, kosovo, latvia, lithuania, macedonia, moldova, montenegro, Poland, romania, russia, serbia, slovakia, slovenia, turkey. I believe the division into western and eastern Europe should not be based on the unjust and hurtful cold war division. Just because Churchil and Roosevelt agreed to betray sovereign states like Estonia, Latvia, Lithuania, Poland, Czechoslovakia, Hungary, Romania and Bulgaria and gave them into Stalin’s influence zone does not mean they are now eastern Europe. This disgraceful division changed history but it did NOT change geography and the cultural heritage of the countries. The mentioned above countries are now sovereign and are not under Russia’s influence any more. Some people from the west may call them “eastern Europe” but it is inaccurate and untrue. The eastern Europe is where the Orthodox Church prevails. This is the only just division. It has been like that since the great division of the Church into Latin west and Greek (orthodox) east in medieval times. Poland, for example, was never referred to as eastern European country before the WWII. We’re still strong Catholic country (95%) and therefore we belong to Latin Europe, not Greek one. I would call eastern countries like Lithuania, Bielarus, Ukraine, Moldova, Bulgaria and Greece. I’m not sure about Romania. By they way, all Scandinavian countries plus Finland I would call Northern Europe rather than western. Finland, for example is geografically more eastwards then Poland, so northern Europe term is rightly justified here in my opinion. It would be more tolerable and appropriate to call the Latin-derived countries from the former Soviet Russia influence zone as Central Europe and the Greek/Orthodox countries are Eastern Europe. Best wishes! This is exactly what I mean. There is much debate over which countries are in the east and which countries are in the west. There are a number of different ways to divide the east and the west. You’ve proved my point exactly! Hey My PRO you answered perfectly!? You hit the nail on the head about Romania. Tackling it on a Brompton towing a Radical Design trailer. Pushing the setup quite a bit going up the Carpathian Mountains. Will try to do the southern part sometime after Morocco. Looking into a Siskiyou.